The year 8s are preparing for their end of year social. Many thanks to the Home and School and particularly, Adele Whiston, who are once again organising the formal dinner. 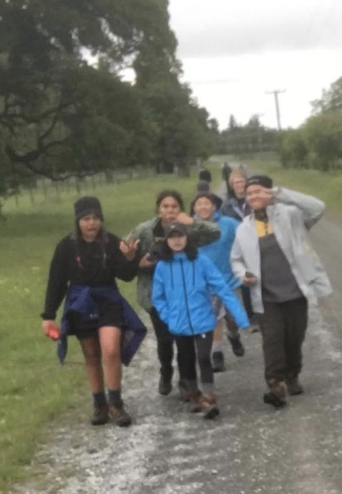 The year 8s enjoyed an exciting camp at Mt Somers last week. We loved having St Kevin's students join us for multicultural day on Tuesday. It was a fabulous day, organised once again by Jan Plieger and show-casing our different cultures. We are particularly grateful to parents who shared their expertise with our students. 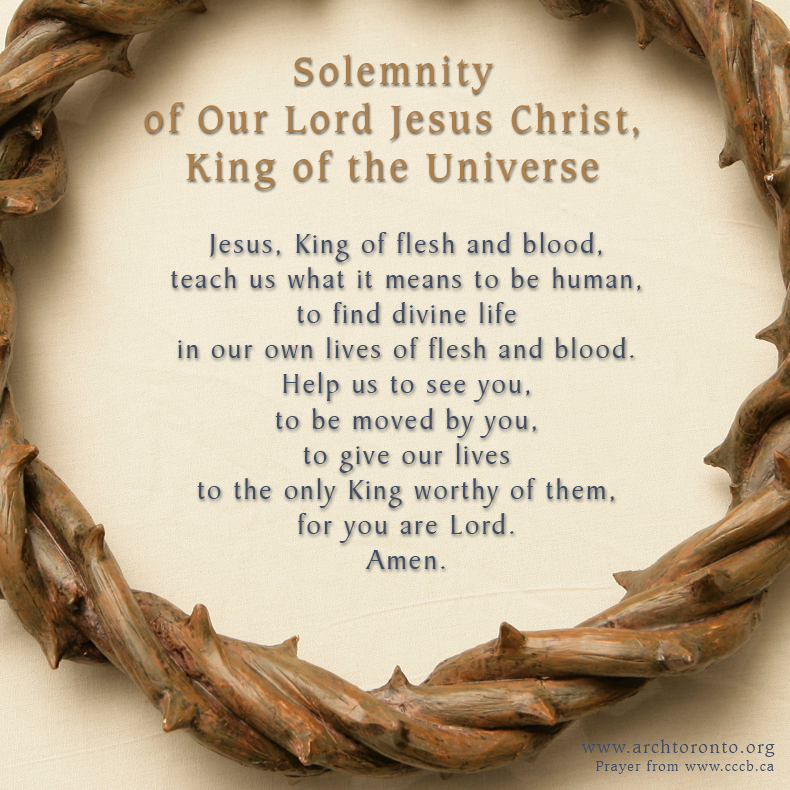 This Sunday 2nd December will be the first Sunday of Advent. We will see the colours in the Church from mainly Green to Violet or Purple. Violet or Purple is the colour of Advent and Lent. We can think of the colour of Advent to be a more of a rose-purple, like the sky just before sunrise. This is the time of year when the Church waits in joyful hope to celebrate the birth of Jesus Christ, the light of the world. We light the first candle on the Advent Wreath that symbolises hope. the Hope of all people. He is the Saviour of us all. These trophies and certificates will be presented at assembly tomorrow at 2.30 pm. Our school had 4 successful students who trialled for the Oago U12 - U18 Touch Rugby teams in Dunedin recently. 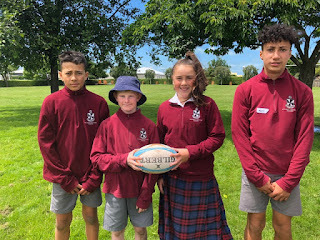 Well done to Max Fatafehi and Hotili Asi who made the U14 boys team, Michael Woodhouse the U12 boys team and Jada-Rose Keno the U12 mixed team. 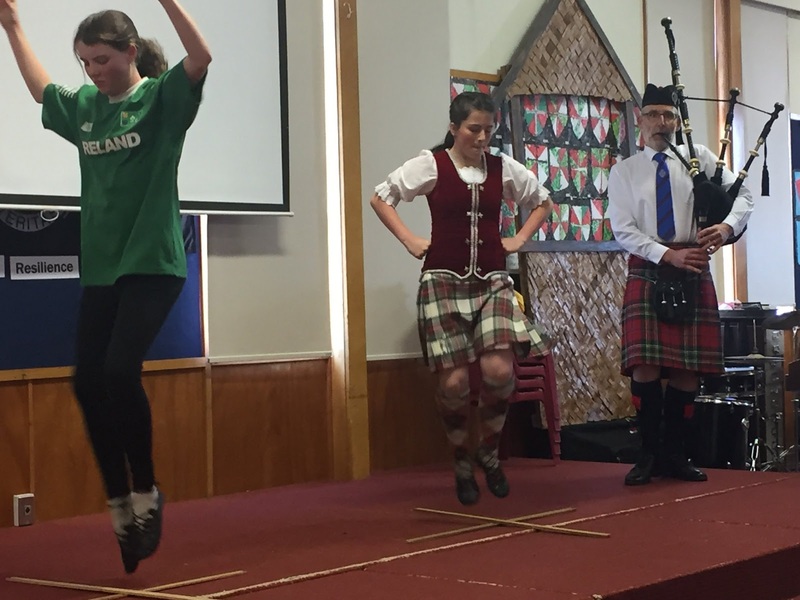 These students travel to Dunedin twice a week for practices and have already competed in a tournament in Invercargill and another one this weekend in Oamaru. These pre tournaments are a build up to the main one in Christchurch in December. Good luck to all. Your coaches will confirm if these games go ahead on Saturday. Tomorrow is our annual Yr 7 & 8 social. The Yr 8 students are to arrive at 5.30 pm and will be seated by 5.50 pm. The Yr 7's are to arrive at 7.00 pm and they are to bring a plate for supper. The night will finish at 9.00 pm. Friday 7th December is our Home and School Disco for Yrs 1-6 only (sorry no pre-schoolers). The disco will start at 6.00 and go to 7.30 pm. The theme is Christmas and it costs $3.00 for entry which gets you a drink, a bag of chips and a glow stick. If you want to buy another glow stick it will cost an extra .50c and $1.00 for another drink. Parents should be warned that the main lights are off and there will be flashing lights and loud music. We are asking that the children are to be dropped off at 6.00 and picked up at 7.30 pm as they will be adequately supervised by our Home and School parents. All library books are due back tomorrow for end of year stock taking purposes. 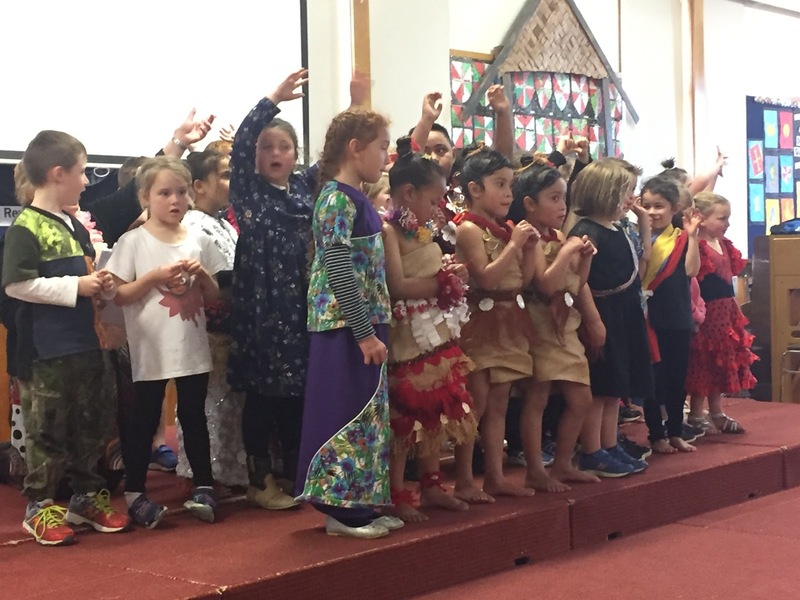 On Tuesday we held our Multi-Cultural Day and it was great to see our children dress up in their ethnic clothes. 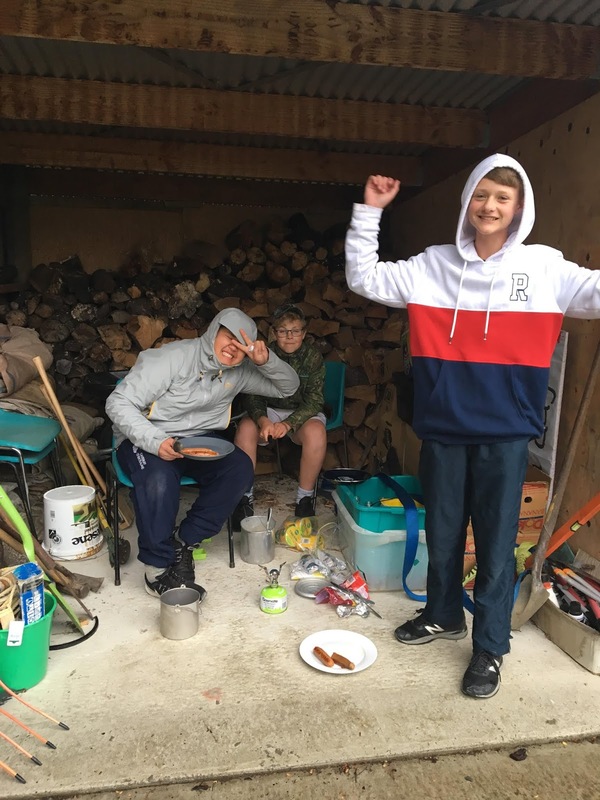 A very special thank you to Mrs Jan Plieger for organising this amazing day and special thanks to the following because without you, the day could not have gone ahead. - Our wonderful parent helpers who helped with food preparation, activities and other things on the day. Our 2019 school swimming lessons have been confirmed with the following dates. Our senior school swimming sports are on Wednesday 6th March and the North Otago Swimming Sports are on Wednesday 13th March. The uniform shop will be open from 12.30 to 1.30 pm on Thursdays during the school terms and also on Orientation Day, Friday 7th December from 1.00 to 2.00 pm. Tuesday 29th January from 2.00 to 4.00 pm. NZ Rosary Crusade - held on Saturday 8th December at 3.00 pm - for Life and Faith; under the mantle of Our Lady of Assumption at the St Patrick's Basilica. We have been doing New Zealand Council for Educational Research surveys on our year 4-8 students over the past three years. These are in-depth norm-referenced surveys. For the first time now in 2018 we have an overall positive engagement - that means in all areas our students are more engaged in learning than the norm for New Zealand schools. Overall engagement has increased by 35% since last year. Big picture things we've done this year is our investment in STEAM (science, technology, engineering, art and maths) learning with a specific focus on hands-on science experiments which sits with an increased engagement in learning by 28%. There is also an increase of 31% in cognitive engagement - that means in students caring about and understanding how they learn. This sits alongside our increased focus on student goal-setting, reflections on learning and progress and supported self-reporting. Overall attitude to school in the past two years has increased by a significant amount of 60%. Its great to see our students positively engaged in every area. Good student engagement leads to good learning and achievement outcomes, and most of all, happy students. Due to the horrible weather the year 8s have not been able to do the full three day Mount Somers tramp staying at Woolshed Creek and Pinnacles Huts. 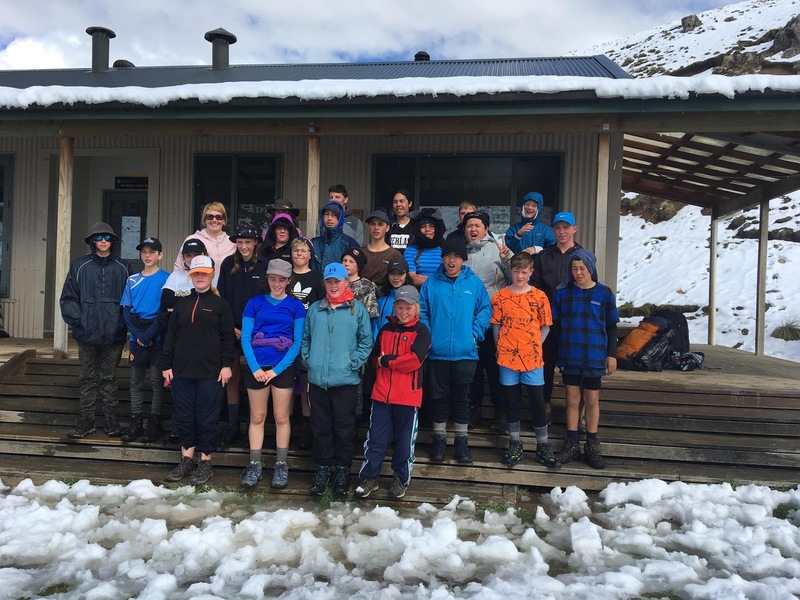 At the time of writing, they are out of cellphone coverage and staying at Woolshed Creek Hut, having climbed the the Woolshed Creek side of Mt Somers today. Even though it rained the children have had a great time at the camp in Staveley. Personally, even if it rains I think this is an outstanding camp, mainly because it is a genuine encounter with our New Zealand back country. Every year for more than 20 years now, our students have discovered new sources of resilience, inspiration and courage on this trip. The JJ award for each class. Candle presentation to year 8s. Last year this Mass took one hour and we're aiming for a similar time frame this year. Handover of leadership to year 7s. We will not be making any decisions regarding the next step with our uniform until we have 70 responses which is more than half our families. At the moment we have 69 responses and a clear majority leader. If you care what we wear for our uniform and want to have your voice heard - get your vote in quickly. It hasn't been the best week to start biking or walking to school. Nevertheless Zeb the Zebra made it to school yesterday.